Sara went through multiple hip surgeries growing up. After doctors wanted her to sit in a wheelchair, she refused; and, at the age of 14, she had total hip replacements. At the time, she was recognized as the youngest one in the United States to undergo these procedures. Sara re-gained her ability to walk and became a nurse early in her career. However, her hips continued to fail. Undergoing another hip replacement at the age of 27, she had a Near Death experience due to massive blood loss. Sara views her near death experience as a shamanic initiation. At this time, she began experiencing other dimensions, “bleed troughs” in time and connections with spiritual beings that previously crossed over. In the early to mid 90’s, after an auto-accident, she underwent another hip replacement and awoken from the surgery with her left leg in a state of paralysis. This caused her to further go through 3 more hip replacements. It was a very dark period of time in her life, which prompted her to do extensive soul searching where she discovered that specific areas of tension in her body were holding early childhood traumas. While the memories were painful, the tensions dissolved and it gave her the gift of understanding her purpose for helping others to heal by acknowledging the connection between the physical, emotional and spiritual components of healing. After acknowledgment of the early trauma, Sara has had only one additional hip replacement (21 years later) and regained 90% of her mobility from the paralysis. 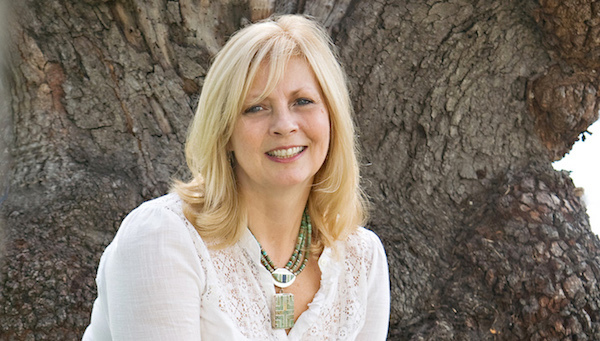 Sara pursued a Masters in Social Work and, by accident, came across Reiki in the mid-‘90’s. She found that the Reiki energy was calming and helped her release pain without needing to take medication. Because of the amazing results she had with Reiki, she became a Reiki Practitioner and Reiki Master Teacher in 1997. She also received Shamanic Training through the Foundation of Shamanic Studies along with Sandra Ingerman, author of Soul Retrieval, where she is listed as an approved Shamanic Practitioner. Along with these trainings, she avidly studied a variety of healing modalities focusing primarily on acupuncture and five-element theory. She developed her own healing techniques, and in 2006, she established Sacred Transformations® , where she provides spiritual healing services and energy healing programs that emphasizes shamanic five-element Reiki™. To enhance her healing services, Sara furthered her training by becoming an Amen Clinic Brain Health Coach to assist her clients in tailoring proper supplementation and dietary guidelines to achieve optimal brain health and further promote their physical wellbeing.